It's Facebook Fridays! for December 4, 2015! Whether you're going home for the holidays or planning an exotic vacation to warmer climes, be sure to pack some Safe Travel in your bag. 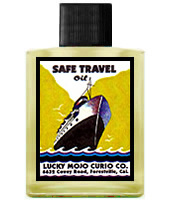 The Lucky Mojo Curio Co. is holding a random drawing to give away 9 bottles of hand-made Lucky Mojo brand Safe Travel Anointing Oil to dress your luggage, vehicle, or your St. Christopher medal. 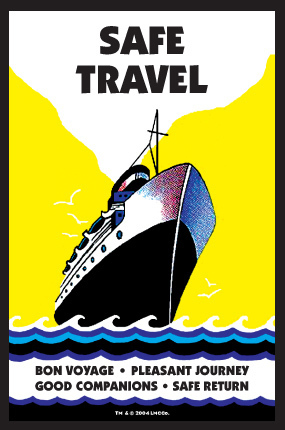 First thing tomorrow morning, we will select NINE winners at random, and ask them to message this Facebook Page with their mailing addresses, so we can send them their FREE Safe Travel products. Be sure to enter the contest so you can win! We have a winner! In fact, we have 9 lucky winners! Our Facebook Fridays! winners for December 4, 2015 are: Suzette Honeycutt, William Jones, Yulanda Ramsey, Rebecca Lowe, Dawn Evans, Dan Kellam, Jenise Nicholson, Neta Ketterman, Joanna Myers.